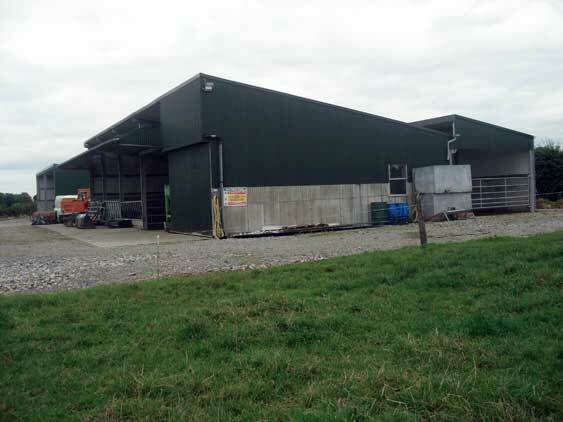 Towra Angus was established in 1995 by Jim Dockery, originally based in Killough, Thurles Co. Tipperary until 2000 (Hence the herd Id “Killough”) I bought a farm in 2000 at Towra, Shinrone, Co Offaly and moved the herd to Co. Offaly in April of that year. The first heifer (Cashelboy Jackie) was purchased in Carrick on Shannon in 1995 from George and Ruben Higgins of Cashelboy for £1200 she was inseminated to Perryville Roscoe and produced a heifer calf in 1996 (Killough Mary) she is still in the herd and has been an excellent cow, Jackie remained in the herd until 2006 producing a calf every year. She was the typical Angus cow average size, big ears and strong frame and was a very good milker. Towra Angus herd now stands at 20 pedigree breeding animals’ cows and heifers, most of the breeding stock up to 2006 were home bred. In May 2006 the herd went full pedigree and the commercial herd of Charolias cross cows were sold off. In 2004 I purchased a stock bull in Carrick on Shannon from the well known Steil Angus herd in Tulsk, Co. Roscommon from JJ Mc Cormack. He has been used in the herd on most of the cows since then with the exception of some heifers where AI sires were used. In 2006 I purchased a total of 8 animals 4 cows and 4 heifers. Two heifers were purchased in Carrick on Shannon from the Drumbore and Parkmeadow herds in March 2006 averaging €1750, Later in 2006 I purchased 4 cows from Gerry Browne in Roscommon who was reducing his pedigree herd, all 4 are young cows some of which were purchased by Gerry at sales as heifers. In October 2006 I went on a trip to Scotland with a group of 45 or so Irish Angus members and YDP Members to the Pedigree sales in Perth which is well known for its quality stock and good prices. I purchased 2 heifers there at the sale from the well known Cheeklaw herd that have bred many winners over the years and have a very good quality herd, many of our members also purchased animals from this herd at the sale. These two heifers including transport home cost me €2000 each. A complete outcross blood line they should be a welcome addition to the Towra herd. I am now offering bulls and heifers for sale in from the Towra herd for those wishing to get into pedigree stock or indeed for those wishing to purchase Angus bulls for commercial dairy or suckler herds. Aberdeen-Angus is the original name of the breed as developed in Scotland, and the term is still in use as such in the United Kingdom. The breed is also very popular in Ireland due to the high quality of the meat. In the United States they are usually referred to simply as Angus or Black Angus. Angus cattle are naturally polled and solid black, although white may appear on the udder. Angus are hardy, undemanding, adaptable, mature at around two years of age, and have a high carcass yield with marbled meat. They are good natured in comparison to several breeds but are more aggressive than breeds such as the Hereford. 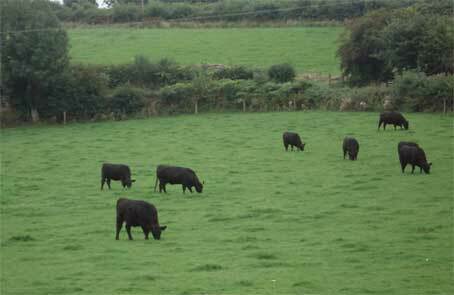 Angus are used as beef cattle and are not used for milk intended for human consumption . They are used widely in crossbreeding to improve marbling and milking ability. Angus females calve easily (i.e. give birth without much stress), partly because of the small size of a typical Angus calf, and have good calf rearing ability. They are also used as a genetic dehorner as the polled gene is passed on as a dominant trait. © Site Design and SEO - CCSL Limerick. All rights reserved.